Sermos Galiza foi quen de informar puntualmente sobre o histórico proceso escocés. E quixo dar voz a todos aqueles que dende os poderes trataban de acalar dende Reino Unido e España. Nese senso, síntome orgullosa de colaborar con tan fenomenal equipo. Hoxe Sermos publica o seu número 100; parabéns a toda a “Comunidade Sermos” e moitísimas grazas de novo a todos os que fixeron posible o especial "A Fondo" sobre Escocia que tiven a honra de coordinar. 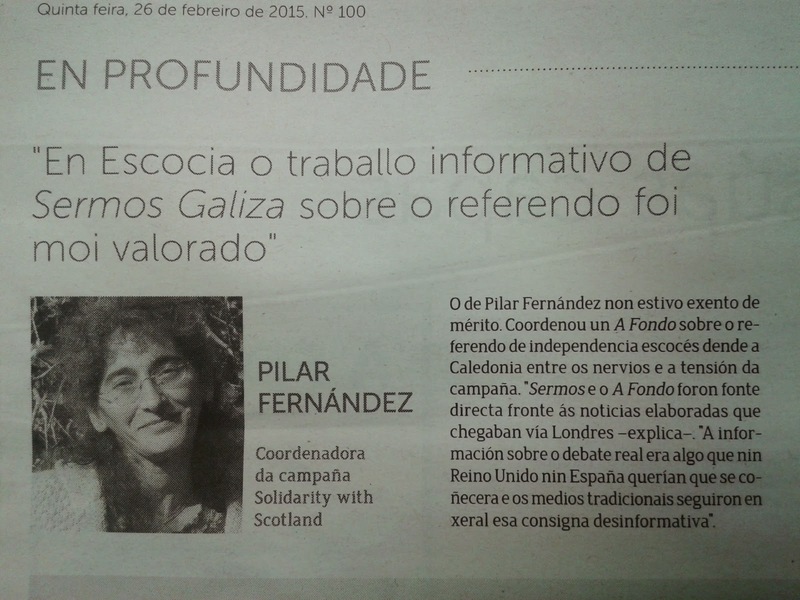 Sermos Galiza reported punctually on the historic Scottish process. Sermos Galiza wanted to give a space to those who the UK and Spanish Establishment tried to silence. I feel proud to have collaborated with such a phenomenal team. 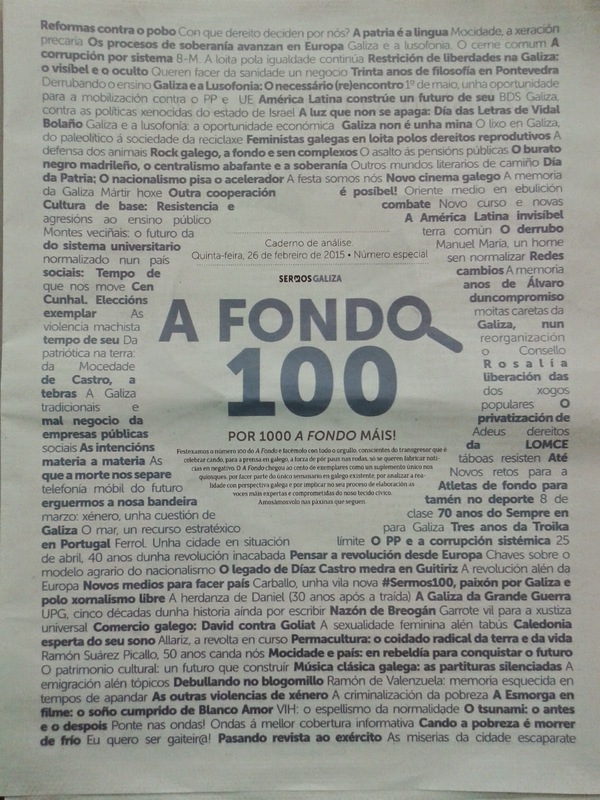 Today Sermos Galiza has published its 100th edition of "A Fondo" , so congratulations to all the “Sermos Community" for that and thank you very much once again to all those who made the "A Fondo" special about Scotland possible and that I had the privilege to coordinate. 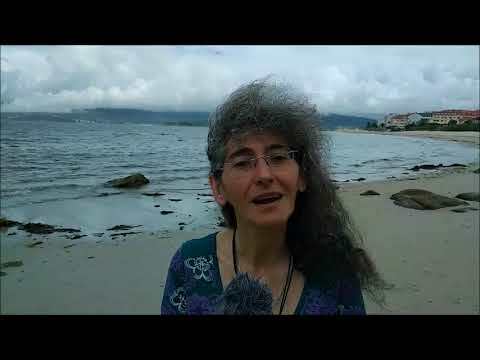 Aquí podedes ver o A Fondo especial sobre Escocia publicado unha semana antes do referendo. Here you can see the "A Fondo" (In depth) special about Scotland that was published one week before the referendum.